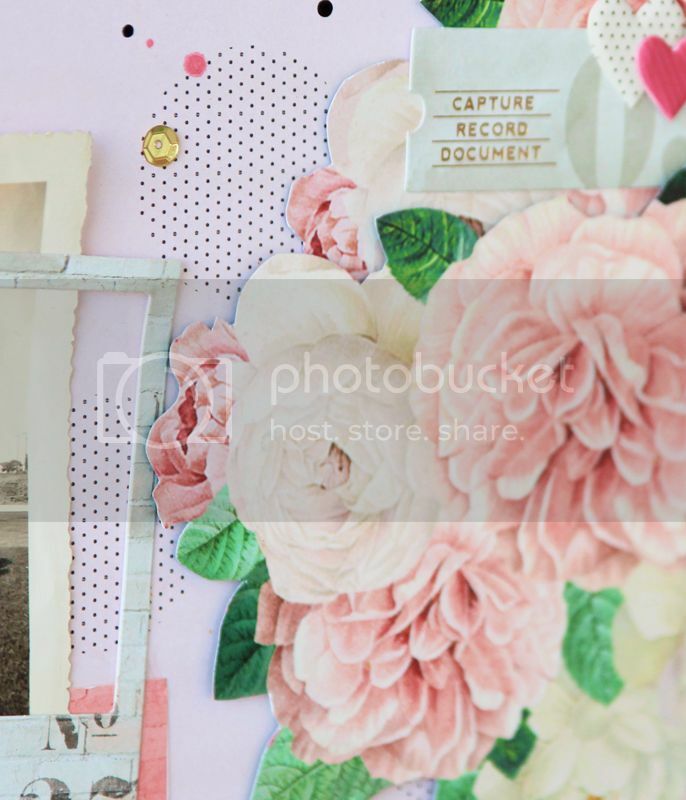 We're spotlighting the C'est La Vie collection by Pink Paislee on the Paper Issues blog today! 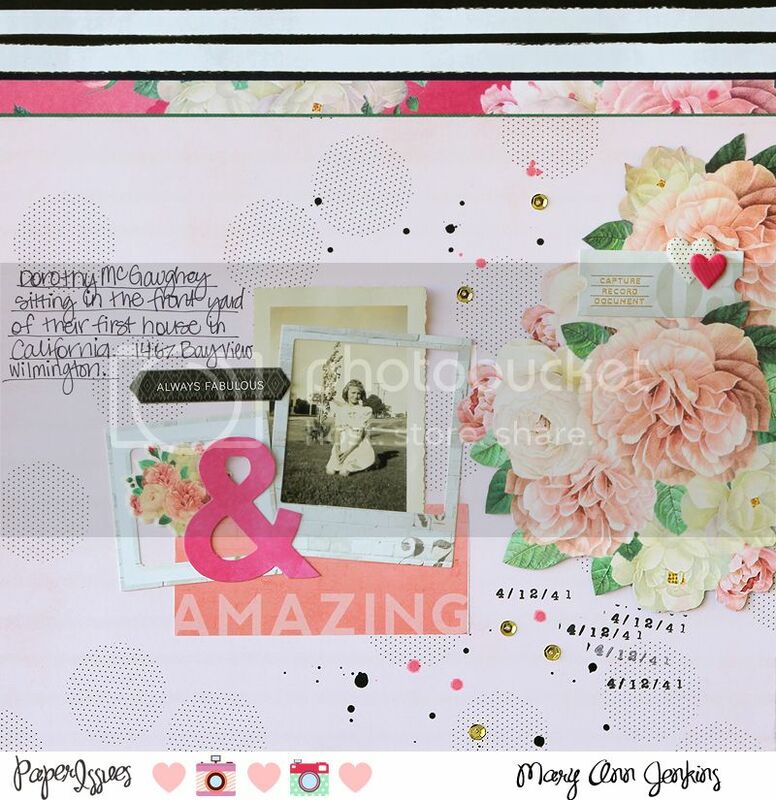 I really, really love the papers in C'est La Vie, beautiful florals, bold stripes and pretty colors... all of my favorites!! I fussy cut the gorgeous flowers, added a few splatters of mist and paint, and some pretty gold sequins. I finished the layout with cute die cuts, puffy stickers and that photo of my Mom from 1941. Such a quick and easy layout to make using those fussy cut flowers and die cuts! As always, thanks for stopping by, and don't forget to use code: Mary Ann in the Paper Issues store for 20% off your total order!